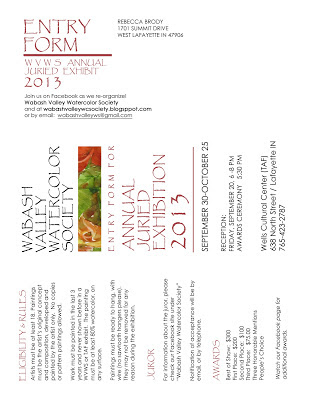 September is the 2013 annual member's juried show. 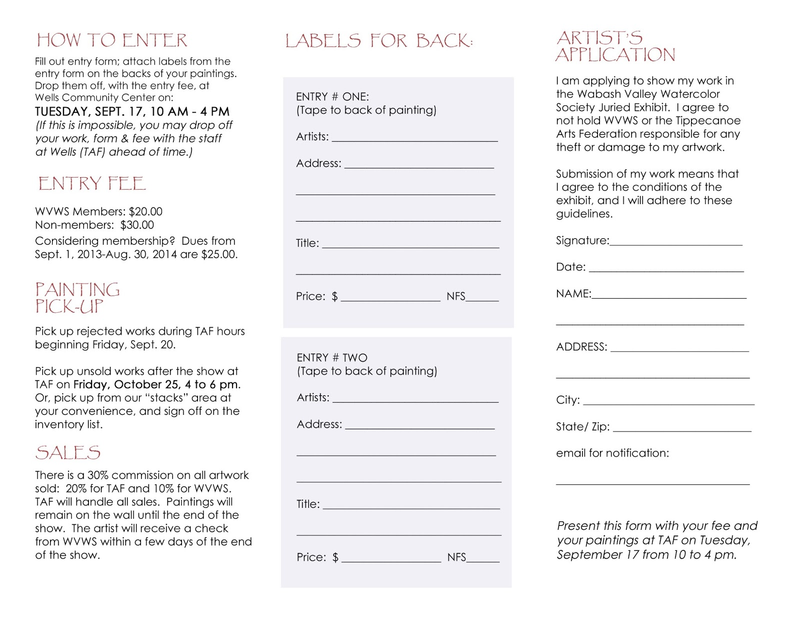 WVWS artists, save this form to your computer and print. 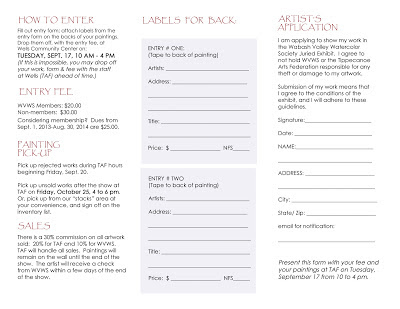 Make sure you save and copy both pages. 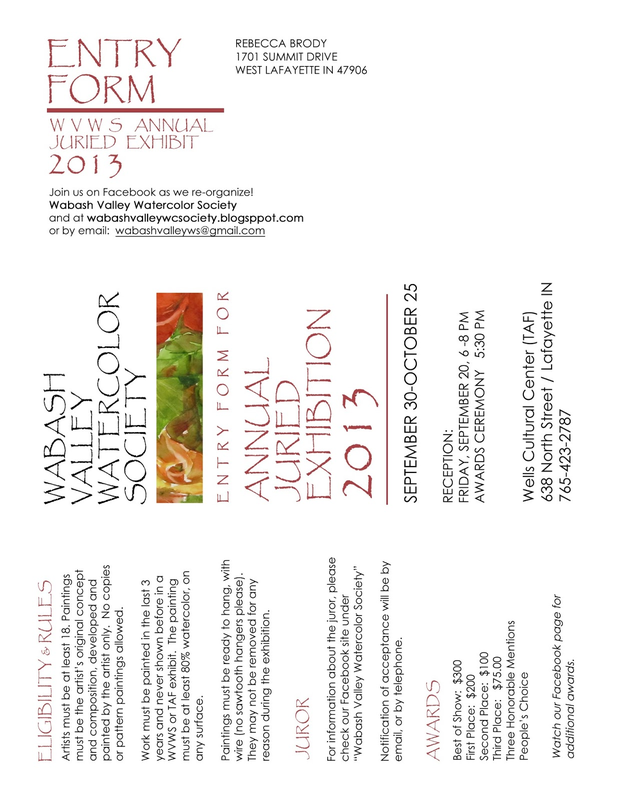 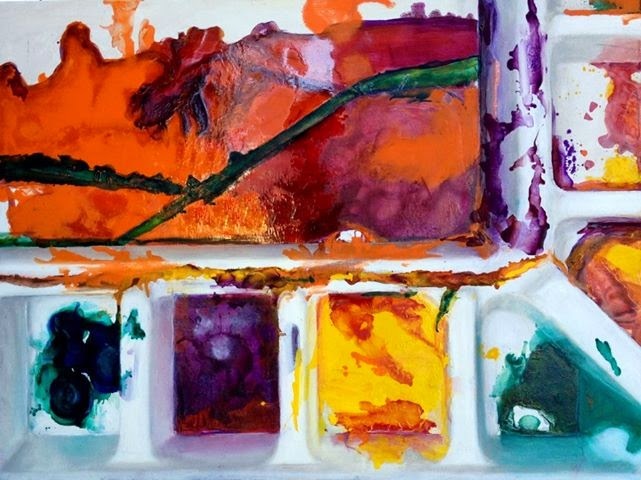 This is going to be a great event for local watercolor artists to show their work and for the public to enjoy. 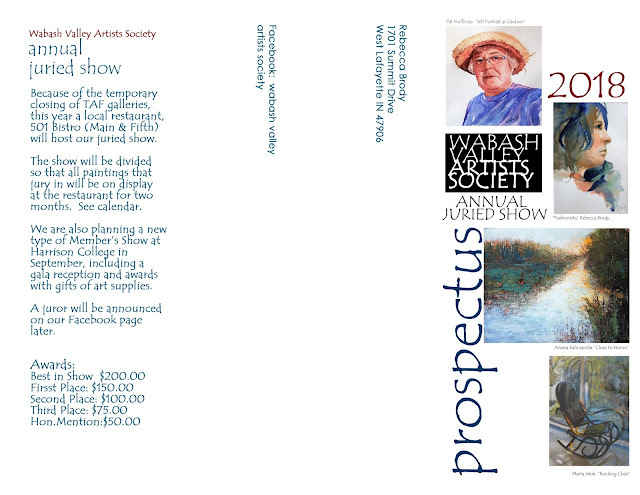 Paintings will be available for purchase.